Nokia Nseries users can now rejoice. 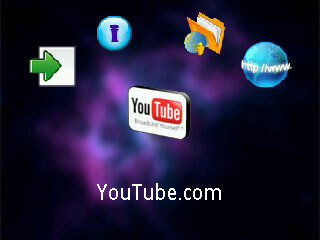 One forum Nokia developer has come up with a new YouTube video player for Nokia phones and is called Mobitubia. I have tested Mobitubia on my Nokia N73 and is perfectly working on EDGE enabled network. The interface of the Mobitubia app is as shown above. You can enter a YouTube video URL or search for videos using the options given. The number of results for a particular keyword is limited to 25 and there is no option to get more Youtube videos. There is also a problem in searching 18+ videos in Mobitubia, and it gives a “file not found” error. Youtube videos are streamed as they are loaded and can be saved when the download is completed. The saved file menu displays all FLV files in your mobile, including downloaded and transferred files from PC. Mobitubia 1.81 build 5 is pretty faster and that’s the only advantage of the software over emTube, another mobile Youtube software client. Mobitubia can also be used as a mobile FLV client for Nokia. Just transfer any FLV video to the device using USB cable and Mobitubia will list them all in its playlist. Mobitubia is a freeware but it would be great if you could donate the author (nuuneoi) for his hardwork.